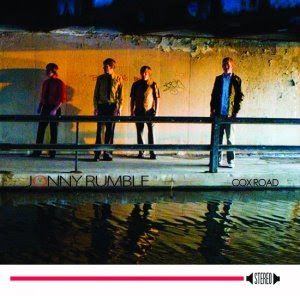 This week local band Jonny Rumble launched a new single, “Cox Road,” and they’re offering it along with another new track, “Opportunities,” for free download via Last.fm. “Cox Road” finds the band expanding on their punk and garage rock leanings with a slow-burning groove, while “Opportunities” picks up the pace with a driving beat and catchy chorus. The two songs come off the heels of another pair of recently-released free downloads from the group – “Courtney’s Basement” and “To Foolishness” - which are still available here. According to the band, these songs are a sneak preview of their forthcoming EP, scheduled for release this fall. The EP fill follow-up their 2008 full-length, Almost Dead, and will include tracks from these singles as well as still-unreleased material. If you like what you hear, check out Jonny Rumble live on Sunday, July 26 at Schubas (with Austin band Electric Touch). The band is also set to play the Route 66 Cadillac Music Fest in Countryside on Saturday, July 25.